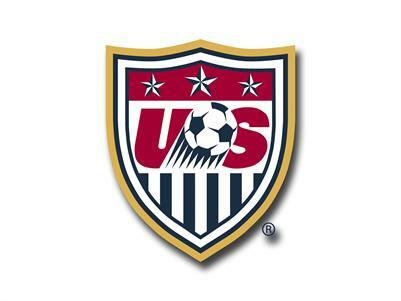 Continued focus on FUN to deepen player interest, enjoyment, and burgeoning passion for soccer. Accelerate fundamental ball skills and ability to manipulate the ball—change direction, change pace, possess, running with the ball, finishing– and advance individual tactical abilities—skill moves and turns to win 1v1 battles. Initiate Maroons Style of Play by teaching diamond shape foundation & playing from the back; Increased focus on 2nd Attacker and receiving and passing foundation. Increased confidence, game intelligence, competition, and physical abilities. The Maroons U9 and Maroons U10 are year-long competitive programs with formal training and league play in fall and spring, and informal play and training in winter. Core focus is on expanding and strengthening technical foundation through high-touch, high time on task training, including dribbling, first touch, finishing, receiving, and passing. Technical development continues to focus on individual ball manipulation and improving success of individual tactics. Tactics heavily focused on 1st Attacker and 1st Defender; 2nd Attacker and 2nd Defender increasingly taught. Increased understanding of diamond shape foundation allows initiation of the Maroons Style of Play. See Player Age Chart to confirm appropriate player placement on Maroons U9 or Maroons U10 for players turning 9 or 10 years old after August 1st, typically 3rd & 4th graders. Players must tryout, based on age, and be selected to a team. There are an increasing number of players cut at tryouts based on ability and number tryout participants. A year-long program where, following a tryout, players are added to a specific team. Teams typically train 2x week and play 10 competitive league games in the fall and 10 games in the spring. League matches are played 8 players vs. 8 players on a small field around the metroplex. In the fall, league games for boys are mostly played on Saturdays and girls on Sundays; in the spring, games are mostly played on Sundays. Each team’s activities will vary during the winter and might include futsal and technical training. Each team is lead by a properly qualified Parent Coach and/or Professional Coach Trainer. These teachers must meet a minimum level of qualification, holding at least a NSCAA Level II Diploma or USSF Youth License, F, or Parent Coach. The teachers, or trainers, are usually Professional Coach Trainers who are selected by the Maroons Director of Player Development & Coaching to run the weekly training sessions. A Parent Coach who understands the game, is fun & energetic, has a demonstrated understanding of technique and how to teach technique, and who is able to attend training sessions are preferred as Match Day Coach. The Club recommends that the Professional Coach Trainer attend at least one match each season and ideally is the “one voice” for at least the first half and presents the half-time talk, see Match Analysis. Each teacher is guided by the Player Development Pathway as well as by the Maroons Style of Teaching, Maroons Style of Play, Guiding Curriculum, and Club Expectations for Coaches. Total estimated annual cost for U9 and U10 is $1035. Fees include registration payment to Club ($450), uniform (if previous uniform needs replacing, estimated at $85), and team fees (estimated $300-$500). Fees cover professional training, games, referees, one tournament (for U8-U12 teams this is the Maroons Father’s Day tournament), insurance, fields, lights, and other Club expenses. Fees paid to the team will vary based on varying factors, including if a team has a paid professional trainer coach for game day, winter activities, team camps, additional tournaments, etc. A team budget should be prepared at the start of the season by the coaching team and the team manager. This budget should be shared with the team for agreement and understanding. Each family would then contribute the necessary amount at the start of the year. Sessions are dominated with a focus on the individual (90% at U9; 70% at U10) and there is a slight shift toward small group focus, increasing to 30% of time at U10. Increased focus on passing, receiving, finishing; Teach role of 2nd Attacker and 2nd Defender. Maximize touches with a high ball to player ratio that is dominated by 1 player / 1 ball. High repetition of technical skills and dominance of 1v1, 2v1, 2v2 tactical scenarios. Use small-sided games and put players into competitive environments as much as possible. Using a variety of small-sided games with varying objectives will motivate players and allow the game itself to teach the player. Whenever possible, players should be allowed to solve his/her own puzzles. Don’t immediately give solutions; heavy use of Guided Discovery and reading of visual cues to increase game intelligence. End of Training Scrimmage: 5v5 including goal keepers ideal and for tactical lessons; 4v4 no goal keepers; 3v3 no goal keepers; limited use of 6v6 (including goal keepers). Building a strong technical foundation continues to be the dominant focus as this is critical for future development and growth in the game. Continue to build and reinforce good habits in every player and quickly correct poor technique before it becomes habit. Heavy focus on individual dribbling with BOTH feet and increasing ability to manipulate the ball including tight space manipulation, skill moves, turning, running with the ball, dribbling for possession, and finishing. Strong and increasing focus on receiving balls on the ground, receiving to turn, 1st touch, short passing and tackling. Lots of 1v1 situations to teach individual tactics, especially 1st Attacker to Penetration – Shot, dribble, pass— and 1st Defender pressure. Increasing focus on 2nd Attacker– width, length/depth, support, checking, mobility; and covering 2nd Defender. Lots of teaching scenarios 1v1, 2v1, 2v2, 1v2, 2v2 attacking & defending for depth of learning for 1st & 2nd attacker & 1st & 2nd defender. Triangle shape advances to diamond shape foundation. Teaching the goalkeeper incorporated into sessions; Improve awareness and ability to identify visual cues; use of target games. Continued playing from the back and through the midfield; Maroons Style of Play demonstrated with increased frequency. Systems of Play: Frequent use of 2-3-2 formation to apply diamond shape foundation learnings; use of 3-2-2 to replicate full sided 4-3-3; and use of 3-3-1 to best allow for teaching positional roles. Players must become proficient in movement to prevent deficiencies at later stages; range of motion, running mechanics; Speed, Agility & Quickness (SAQ). Positive overall attitude toward self, teammates, and coaches. Use Maroons Motivation to build self-confidence. Increased levels of communication, game intelligence, awareness of surroundings, and competitiveness. Participation in tournaments and attending higher level matches (e.g. HS, Red Bulls). Team identification and team events; team activities. Come Out & Play sessions. Players must play all positions (backs, midfield, forwards) on a regular basis. Playing all positions aids the player in learning and understanding the game. Encourage, but don’t require, that each player play a half in goal. Equal playing time for ALL players, for every game attended. Every player must have the opportunity to start multiple games. Every player must have the opportunity to be team captain during each season.